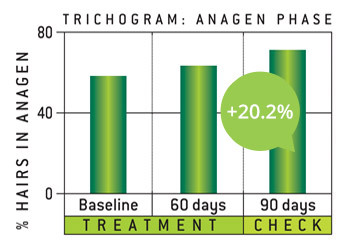 Tricovel® with Biogenina® decreases temporary loss of hair due to Telogen Effluvium a reversible hair loss condition associated with stress, change of weather season or unbalanced diets. Tricovel® tablets are ideal for women and men at any age. 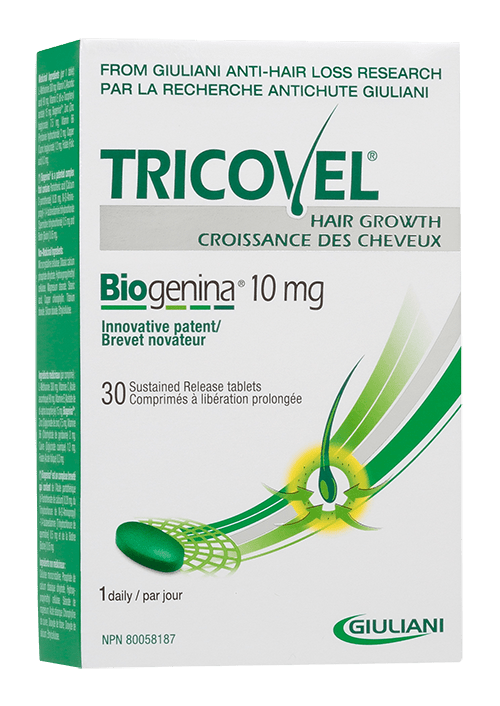 Tricovel® triple action reduces hair shedding, promotes hair growth, and increases hair volume. Tricovel® Tablets is ideal both for women and men of any age. 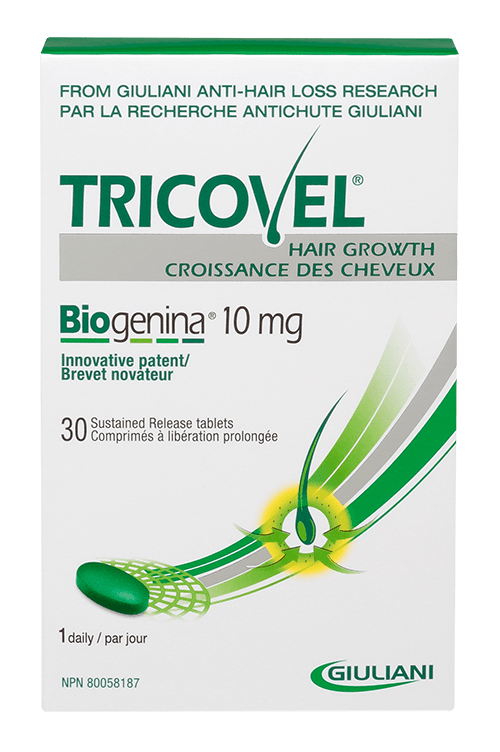 Tricovel® in tablet form is a delayed release formulation - with Biogenina® that nourishes, protects and promotes the	growth of healthier, stronger and shinier hair. 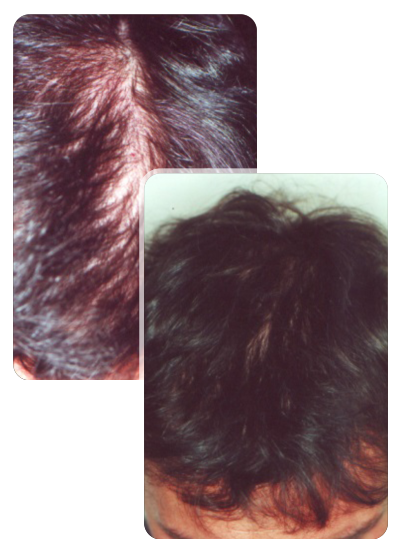 It reduces hair loss and stimulates new hair growth, while making existing hair thicker and stronger. 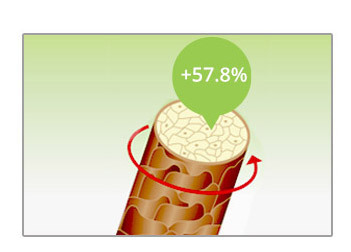 Pharmaceutical Technology that allows the prolonged delivery of the ingredients. This provides all day long nourishment and protection with just 1 tablet. 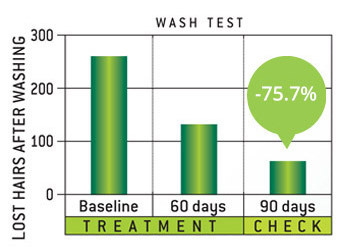 **A clinical trial , double-blind, placebo-controlled, performed on 60 healthy and compliant subjects , with temporary and excessive hair loss.